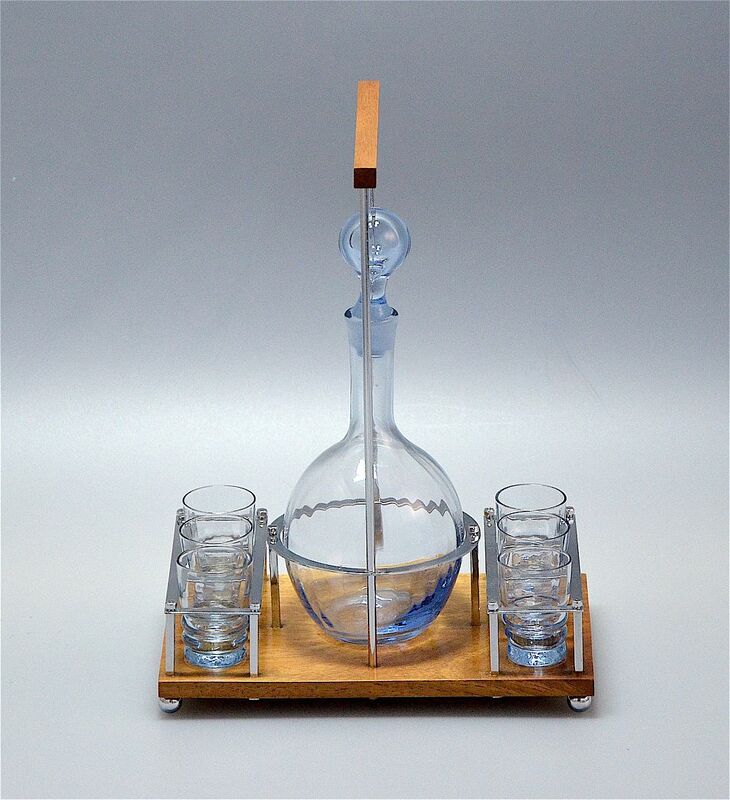 This super little decanter & liqueur glasses were made in the Art Deco period of pale blue glass. 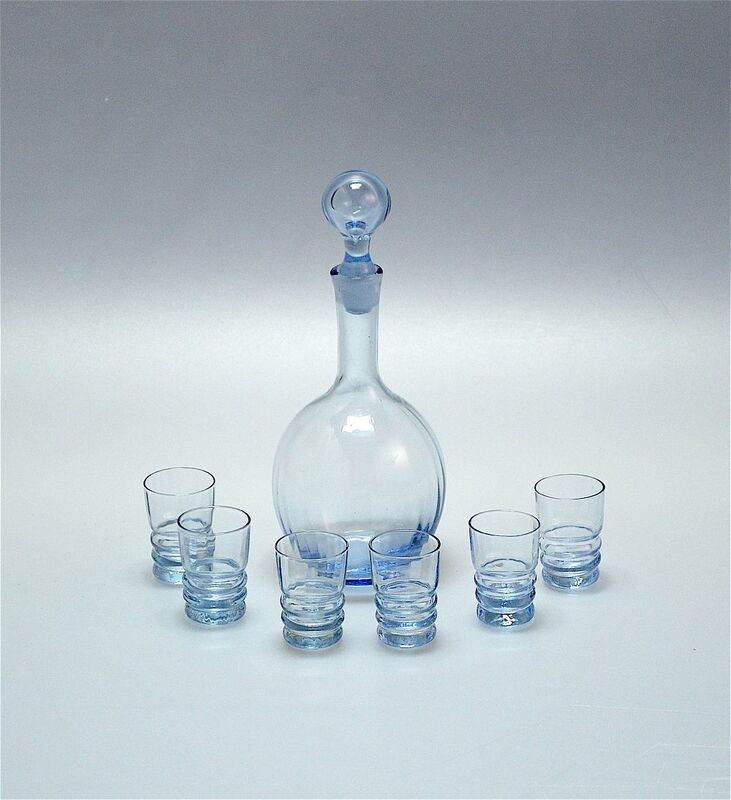 The decanter and glasses have ribbed interiors and the decanter has a round base with a long neck with a round topped stopper. Each liqueur glass is cylindrical with a ribbed foot. They are presented in a wood and chrome "tray". 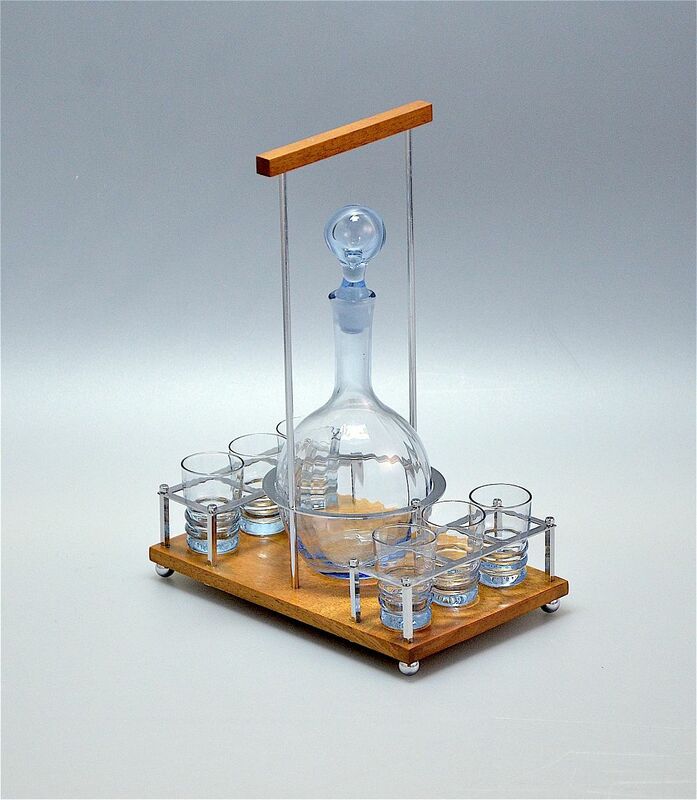 All the pieces fit into their individual place and there is a long wooden topped handle with chrome arms for easy carrying. 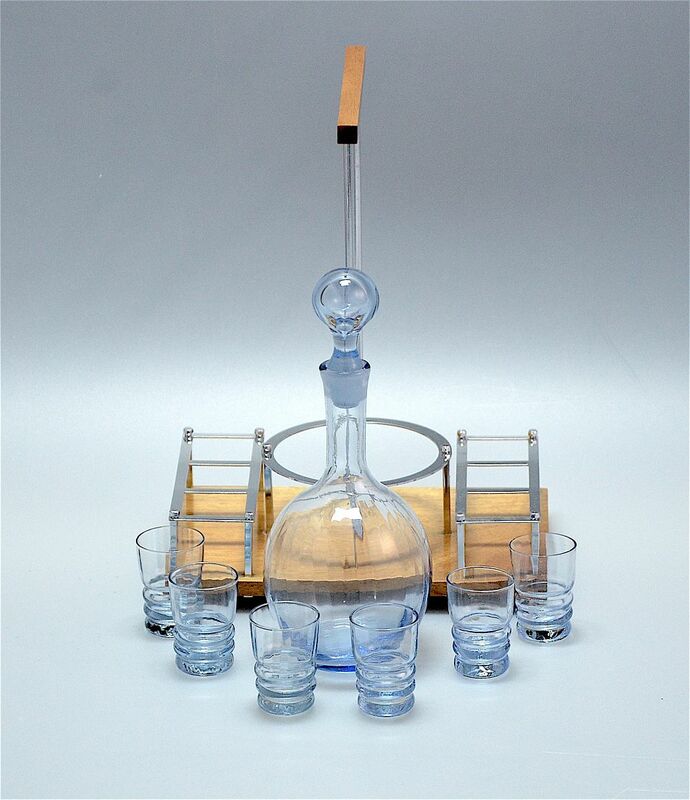 A really elegant and useful piece for serving after dinner liqueurs!